This brilliant 12ft wingspan Delta flies well in light to medium winds. 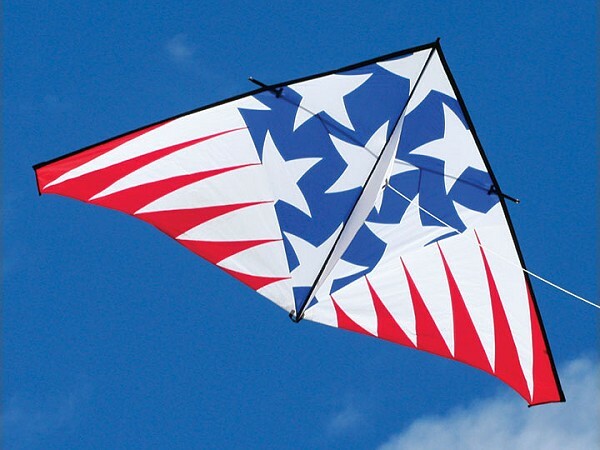 A visually vibrant kite that's easy to launch with the ability to lift line laundry. 3 tail attachment points and extensive reinforcement complete this classic design. Kite packs into 42" long sturdy carry-case. Size: 144" wingspan x 73"
Material: Rip-Stop Nylon with Glassfiber frame.